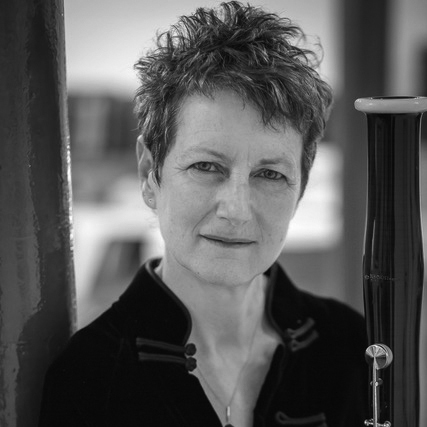 As well as being a founder Member of the Hebrides Ensemble, Ursula is a member of the Nash Ensemble and Principal Bassoon with the Academy of Ancient Music and the City of London Sinfonia. From 1987- 2007 she held the position of Principal Bassoon with the Scottish Chamber Orchestra. Ursula studied in Amsterdam with Brian Pollard, in London with Martin Gatt and studied Baroque Bassoon in the Hague with Danny Bond. Whilst a student in London she won the Gold Medal in the Shell – LSO Music Scholarship. She was a member of the European Union Youth Orchestra and worked with conductors such as Claudio Abbado, Herbert von Karajan and Leonard Bernstein. Ursula has given classes at all the major music colleges in the UK and as far afield as Toronto and Hong Kong and Melbourne. She has been a member of the senior faculty at Marlboro Music in the US, has been a Jury member for the Munich ARD International Music Competition and Eurovision Young Musician. She lives in the Lake District with her husband and daughter.